As one of the fastest growing areas of interest in living history today, World War II reenactors come from all walks of life. Baker Company is a focused group of these individuals dedicated to the preservation and presentation of the American Airborne Paratrooper during this time period. To be a member of the unit, you must be dedicated to these principles. We welcome those who have a calling to become a living historian. Please reach out to us and we will be happy to answer your questions and teach you what you need to know. 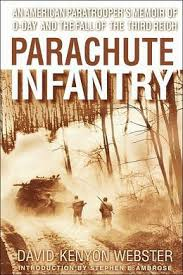 Also recommended, "Parachute Infantry". A first hand account from D-Day to the end of the war by David Webster, a member of the 101st Airborne. An excellent journal of day to day life. Want to learn more about World War II living history as a paratrooper? We recommend "Parachute Rifle Company" as a good introduction on what to expect. Available on Amazon. To get in touch with one of our unit recruiting personnel, send us a message using the form below. 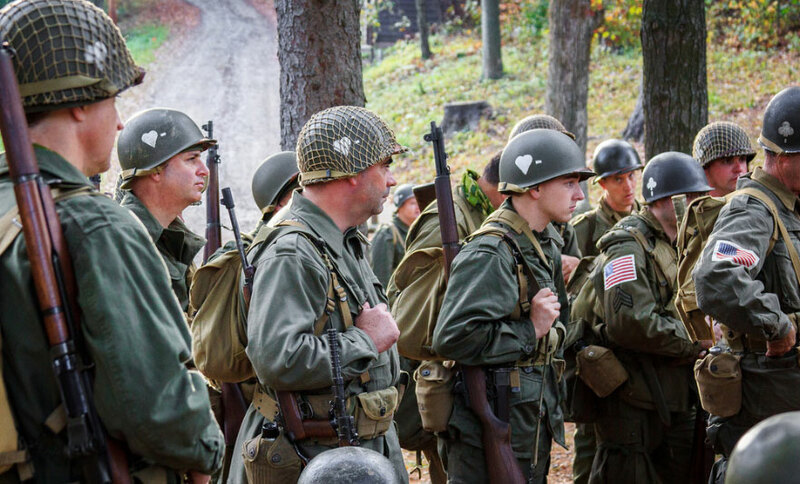 Company B, 502nd is one of the largest and fastest growing WWII living history groups in Ohio and Pennsylvania.